Norbar Fabrics for upholstery and drapery is viewable via the link below. 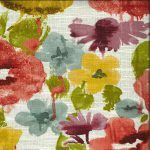 Call 877-FAB-2-YOU for your best buy price on any current Norbar fabric.- Or fill out the price quote form for an email quote on any fabric in the entire Norbar line up. 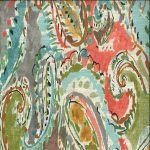 Norbar fabrics for the home or company are discounted for purchase here online. The #1 Fabric dealer outlet shop offers all of Norbar fabrics at near wholesale discount prices. Norbar fabric samples available upon request. Based in Boca Raton, Florida, Norbar Fabrics has put together sample books containing nearly every fabric pattern type and color conceivable. Thousands of choices make this one of our first choices for finding just the right fabric. There are moires, prints, geometricals, textures, contemporary and traditional patterns etc. We found a Norbar fabric in their Cadence sample book called Condado – Cocoa. With heavily visible stitching this diamond geometrical fabric in a rich leathery brown sparks the imagination as to what it could be applied on. Condado also comes in ivy, pottery, olive, spice and straw. Norbar Fabrics carries many trims also- pages of them. Athough they have a virtual library of sample books, their online fabric display is done very well. It’s quick and easy to navigate. After you’ve found the Norbar fabric of your choosing, call #1 Fabric Co at: 877-FAB-2-YOU for a great price. Call us now. Are you looking for a specific pattern from Norbar Fabrics? 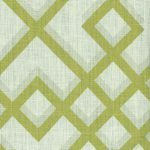 All Norbar fabrics are available for purchase through #1 Fabric Co.
#1 Fabric Co makes decorating with designers like Norbar fabrics affordable. Buy the same decorator textiles the professional interior designers buy at the lowest possible sale prices. Note: Our fabric selections are NOT factory seconds, over-stock, remnants or discontinued fabric. Your pricing from #1 Fabric store will be on a new, current, first-run Norbar fabric at the lowest possible price.